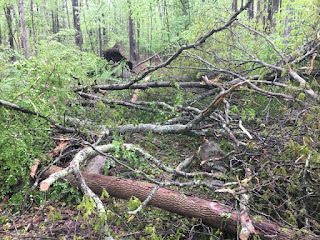 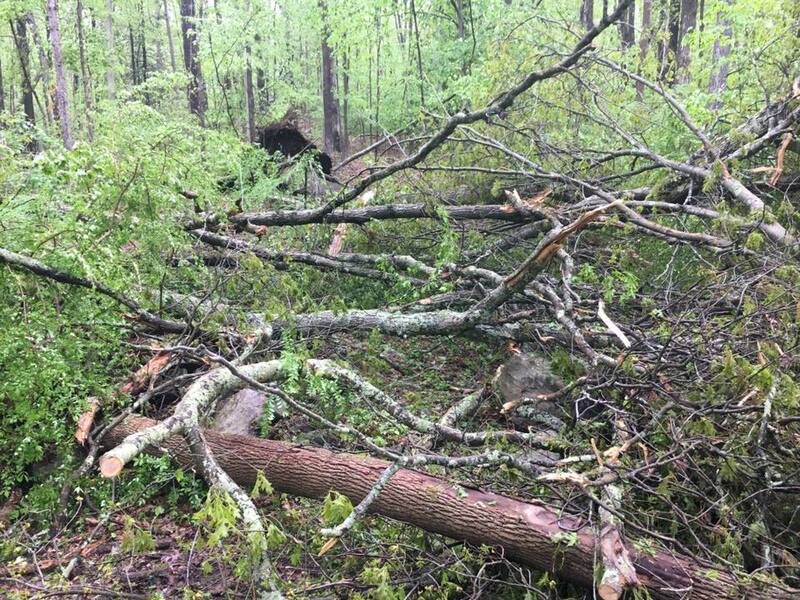 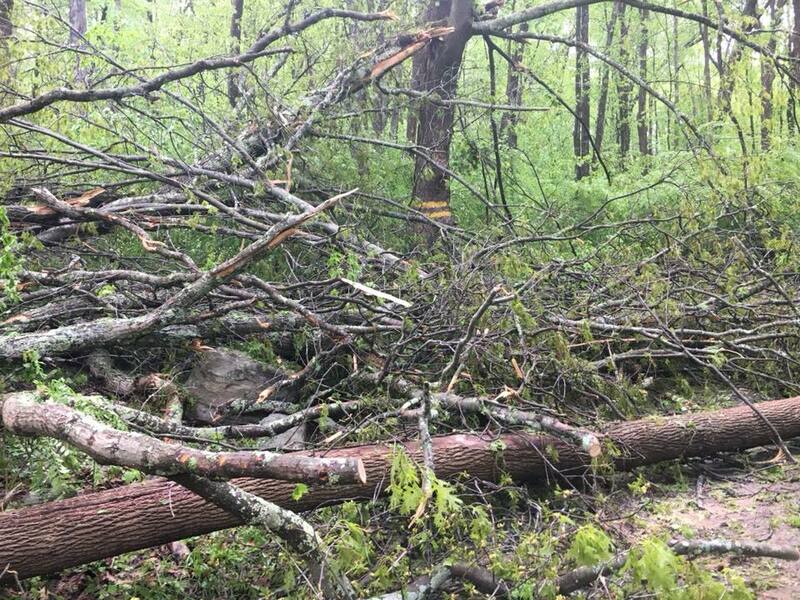 On Wednesday, the day after the tornados (unconfirmed) hit North Newtown I tried to get into the forest on two separate occasions and all I found were trees down at the trail heads. 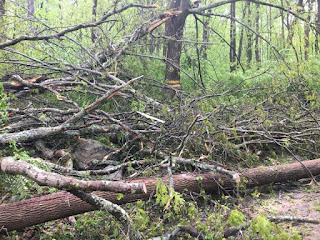 You couldn't even get into the State Forest at the end of Echo Valley Road and when I am came back a few days later and was able to get up to Sidney's driveway (the Yellow House on the left) I found that a really big tree had come down in the drive way before the parking lot. 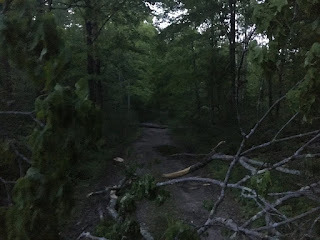 On Friday I was able to ride a little further in but didn't get very far! 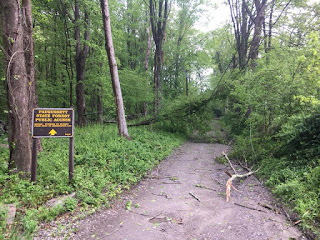 The Sanford Road Trail Head was equally blocked. 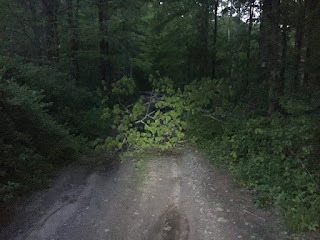 As I rode by there a second time I just couldn't think about where you could reroute around this.